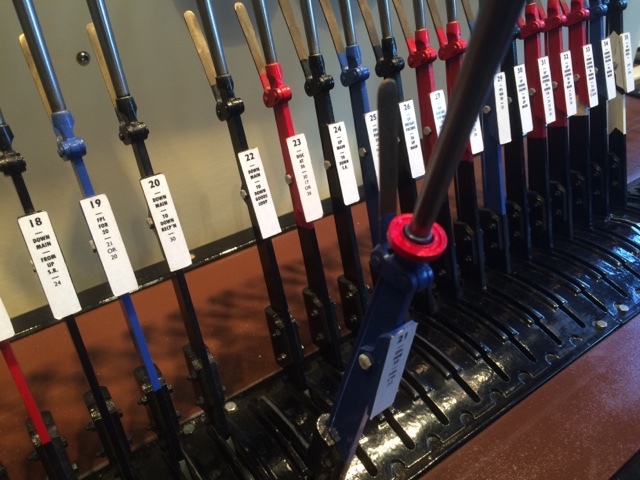 Be sure to like us on Facebook and follow us on Twitter to get notified about developments and progress happening at the signal box. We hold our regular open days on the first Sunday and third Saturday of the month, entrance fees apply. In addition to this, we will be open on the 15th and 16th of September 2018 in association with the heritage open days. On this weekend there will be free entry for all! That's free entry on the 15th and 16th of September, all the usual demonstrations and talks will be going on, and of course our cafe will be open to provide drinks and light refreshments. Wednesday is workday at the signal box and this week was a hive of activity. 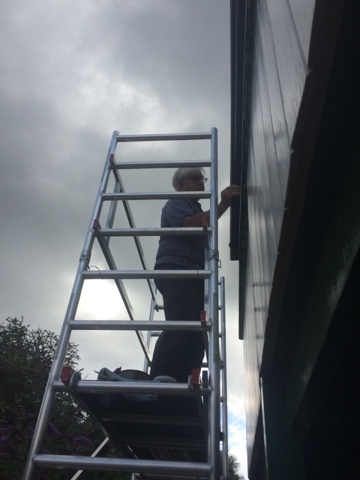 Dave has started to repaint the back door to the pavilion as its paint was all cracked and flaking. The sanding down and priming stages have been started so hopefully this will keep moving at a speedy rate. Keith is working on the level crossing gates and posts. He has already completed one pair of the gates/posts and is cracking on with the second pair. Future development plans for the area behind the pavilion are starting to move forwards, so we realised we'd need to relocate the picnic bench that was living there. We decided a sensible location was by the bufferstops cafe to provide additional outdoor seating. 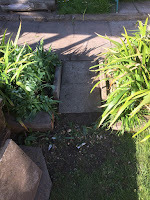 So Jamie made a start making a pathway to the new location. 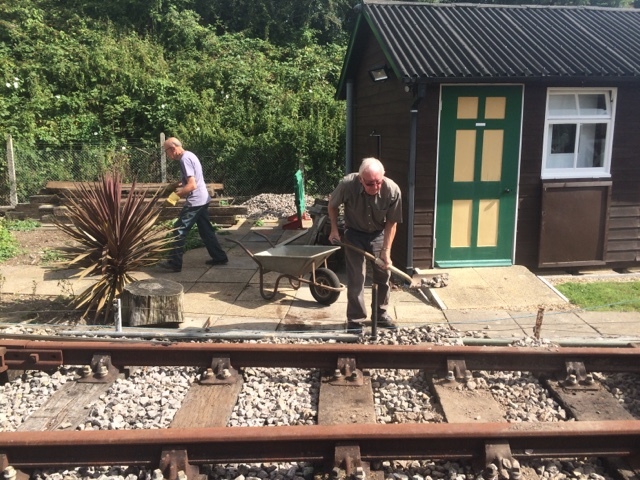 Adrian has recently been working in restoring the signal arms around the site and once he'd done all the painting he could for the day, he joined Jamie in laying the slabs for the bench. At the end of the day the task was nearly complete, there's just one more row of slabs to go in to allow a bit more space for the users. The observant among you may have noticed that we've removed a fair bit of turf from the garden area. To make use of this, we have located some of it behind the pavilion where there will eventually be a members mess hut. 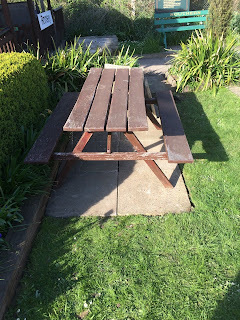 This will provide the setting for a small garden to make the place a bit nicer for our volunteers. The slabs you can see will be the foundations for the mess hut and no, there will not be a swimming pool in the middle. 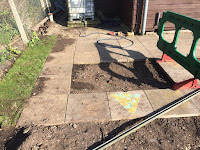 We just need to finish the paving. Alan has also been helping out around the site mostly with the gardens. 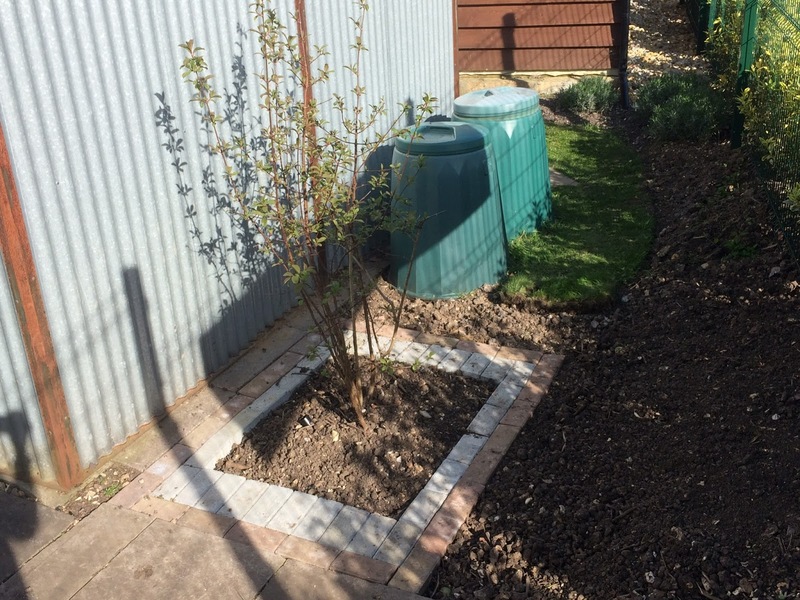 His latest addition was the donation of this plant which has been planted around the back of the large sheds. 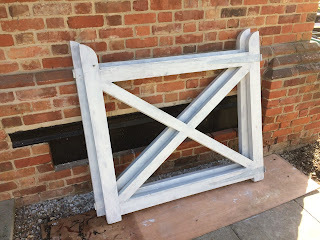 He has also spent time to nicely frame this with some of the leftover paving stones. Also in this picture you can see our 'new' (second hand) compost bins. 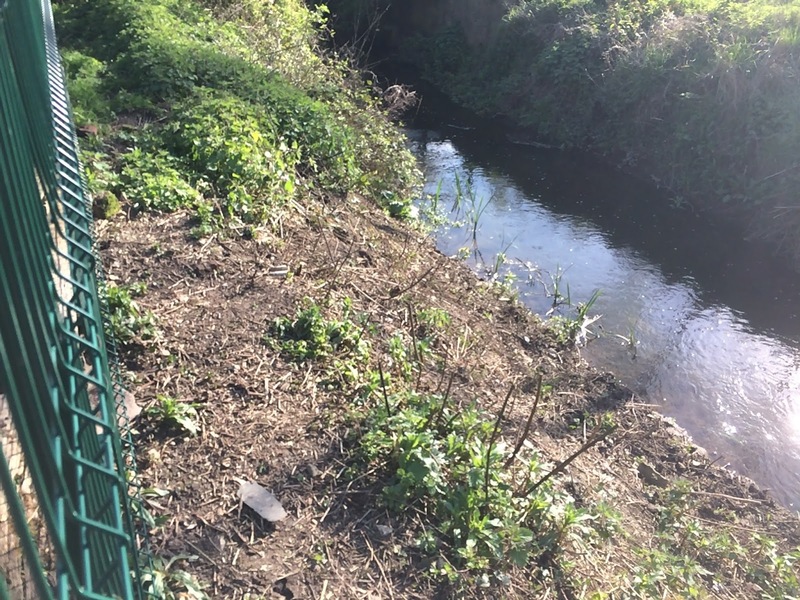 Slightly more attractive than the compost heap and so it tidy's up this part of the site. We'll next be open Saturday the 15th so you can come from 12:00-16:00 to see all theses changes for yourself! If you feel like getting involved then contact us for more information. 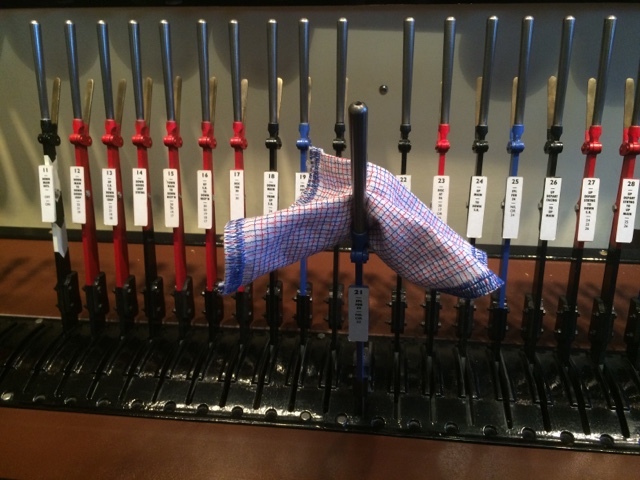 There's always something that needs doing at the signal box. 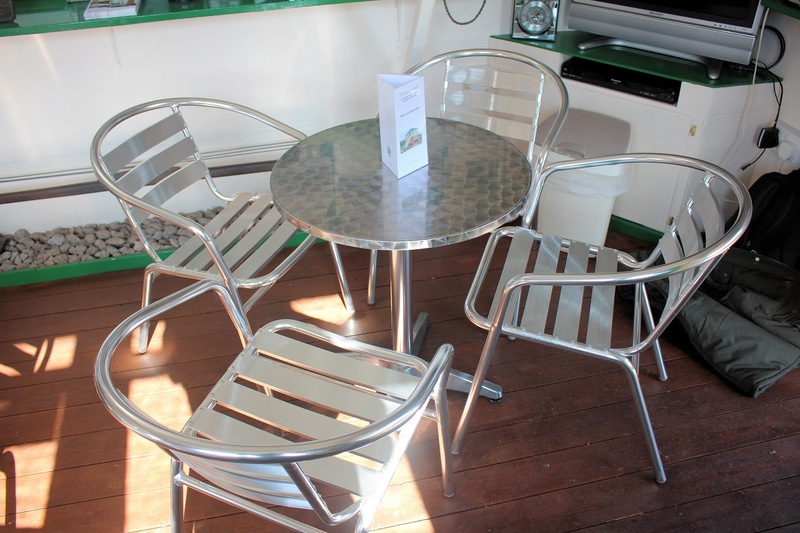 On the 15th March we took delivery of the new tables and chairs for the cafe. They look very smart and give a much more professional look to the cafe. When we have the volunteer's "mess hut" I should be able to really sort out the cafe and make it so much more inviting. Anyone who has visited will know that it's only a very small area, but with proper organisation it's surprising what you can do. On your next visit please call in. 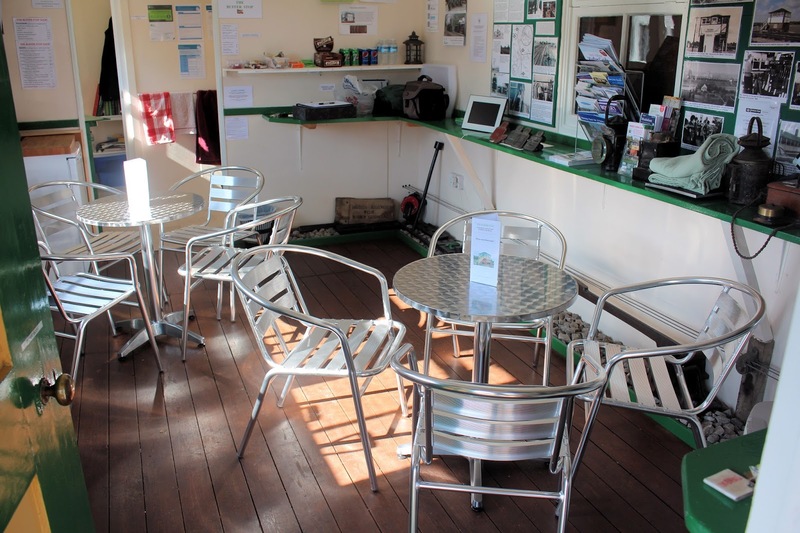 We have a great range of hot and cold drinks, light snacks and home made cakes, all at fantastic value for money. I should really be posting to this blog more often but things often get in the way. I will be trying to make more effort in the future! 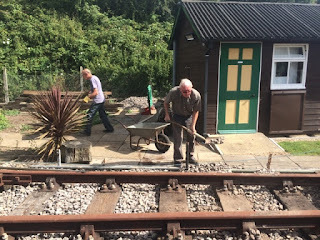 After our sleeper delivery, we had a second visit from the mid hants railway (MHR) guys to install the sleepers, it was very kind of them to do this as originally we were only offered the sleepers. 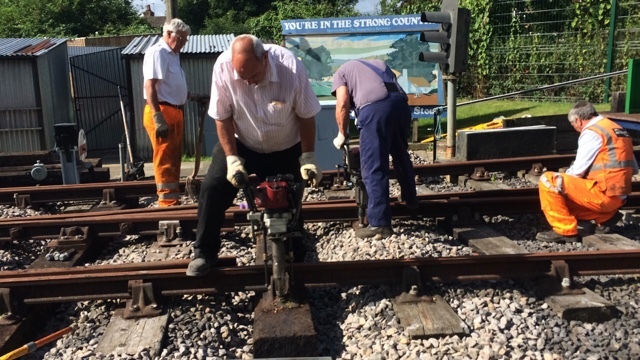 They spent a log day at the signal box in very warm weather but they did a brilliant job and it would've taken us a year to do what they did in just one day. They also brought all the proper tools for the job (as you'll see in the photos) yet something we don't have. As this was all done for free we felt it our duty to provide them with lunch, so Dave and I brought along some camping stoves and did burgers, sausages and bacon. Oh, I almost forgot, Dave did onions too! 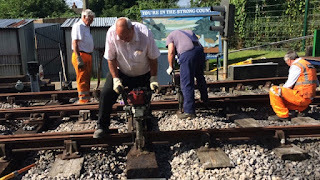 We are so great full for the sleepers and all the time the volunteers from the MHR have given up, but it felt like we all had a good time and a laugh while we (they) were working. 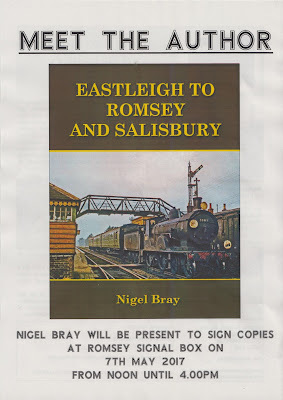 Although no money was asked for, we shall be making a donation to the railway as they've done so much for us. 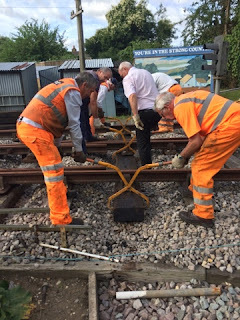 But thanks is also due to our volunteers who helped by removing the ballast around the sleepers that were due to be changed. 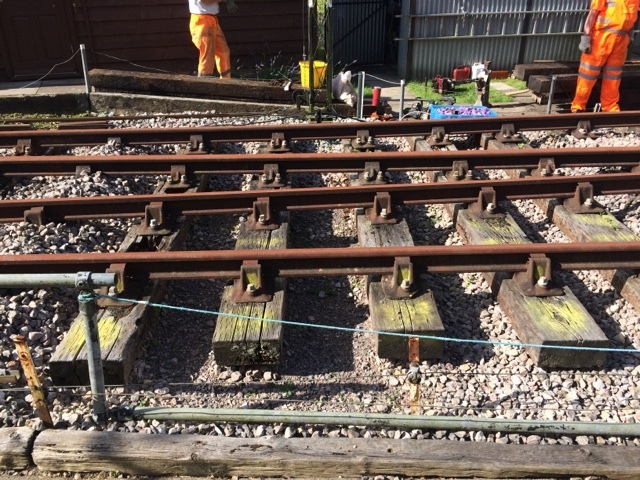 This saved some much time on the day of the sleeper change and saved the MHR guys having to make a second visit. now just a case of putting it all back in. In more recent news, Dave has installed a form of shelving in the pavilion to display all our merchandise. 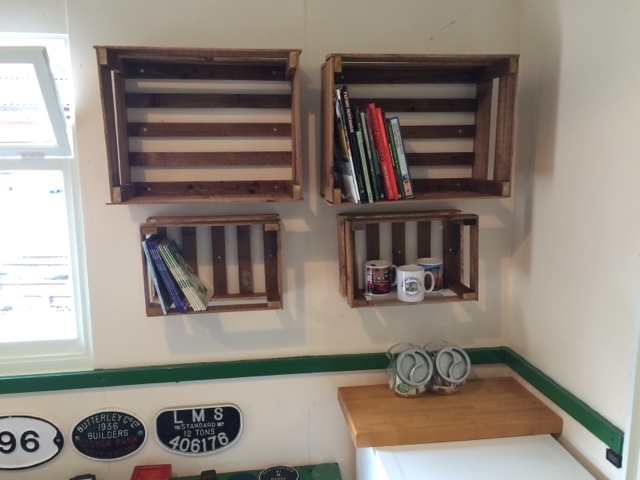 He has built some 'rustic' boxes which we have screwed to the wall. They really suit the room, display the products nicely and seem to be able to take the weight. The only flaw we found was that we had to install some Perspex in the boxes to stop the products falling through the gaps. The only thing left to install will be some lighting as it looks a bit dull in this area. 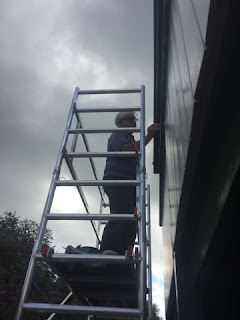 Painting the signal box exterior continues and Dave and Keith are on the final side of the signal box. 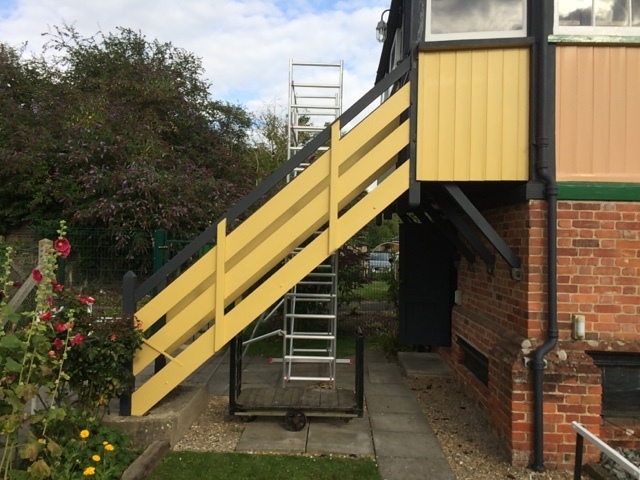 The wood has been primed and under coated and certain parts now even have a top coat of gloss paint. 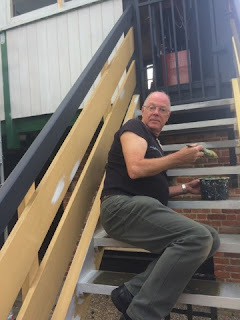 If the weather is nice this week they predict that the majority of it will be completed on Wednesday, but we'll just have to wait and see. 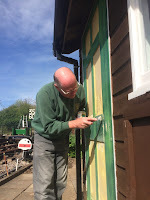 Cowely Bridge signal box has also had some work done. 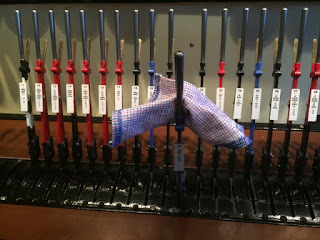 I spent the best part of a day polishing the lever tops to make them shiny as they would've been in a real signal box. 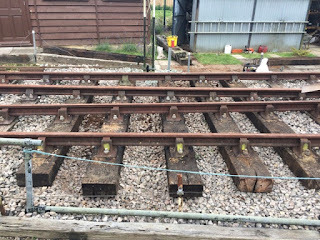 Only trouble with this is that touching the levers without a cloth would now mean they will start to rust, and an authentic lever cloth is far too big for the 1/4 sized levers. 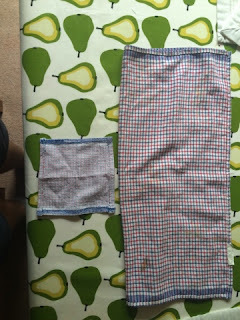 So I fired up the sewing machine and a day later had produced a scale lever cloth! 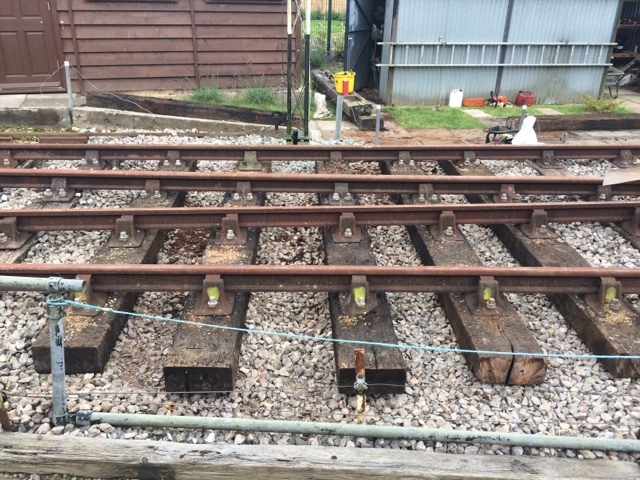 I didn't stop there though, I also produced some lever collars which would've been an important part of the signalling equipment. On the more technical side of things, we had visit from Alan on Saturday (the system designer) and the lever from interlocking has also had an update and now makes much more sense and the code itself is easier to read. We have also had the first run of the new automated simulator! 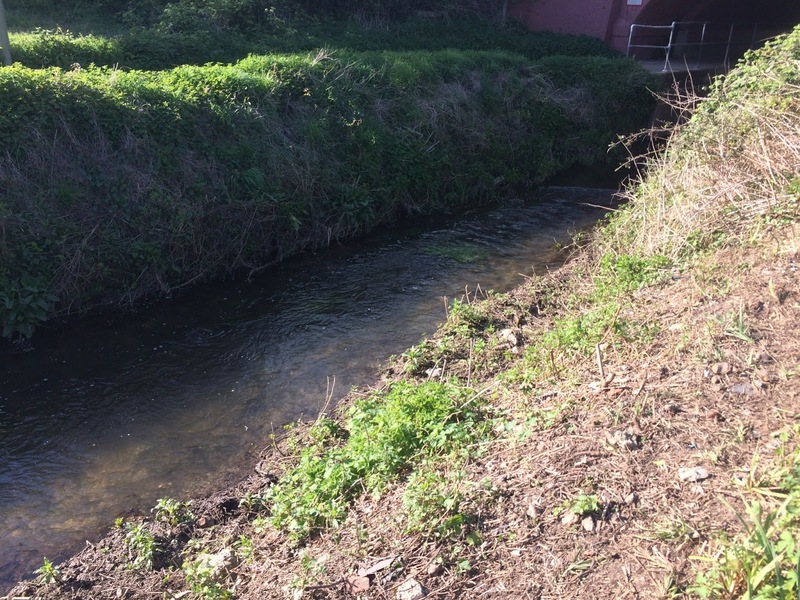 It seems to work fine but has not been left with us yet as there are still a few alterations to make. The members also had their AGM on Saturday where many information about the project was fed back from the committee to the members, the minuets of this meeting will be published in our next newsletter. We hope that you'll find time in the near future to visit the signal box and see all these developments for yourself. Also, all members are invited to attend our social evening in September. 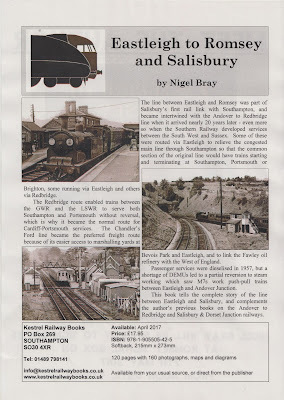 If you're a member and haven't heard about this and/or now want to attend, get in contact with the usual people.